If you ask me, there's nothing more sinister than a hedge maze. (Of course, I have a good reason for feeling that way--more on that later.) Even on the sunniest spring day, it's hard not to imagine someone or something waiting for you around one of the bends. (Which explains the role hedge mazes play in movies like The Shining and ghost stories, such as Mr. Humphries and His Inheritance.) 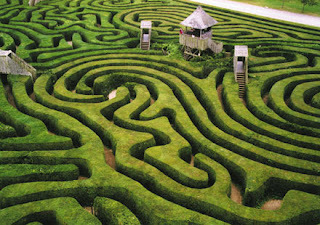 But in honor of Otto, I'm offering a list of some of the world's most famous mazes (hedge or otherwise). You're probably familiar with the myth. Each year (or every nine years, depending on which account you read), King Aegeus of Greece was forced to pay tribue to King Minos who ruled the island we now call Crete. 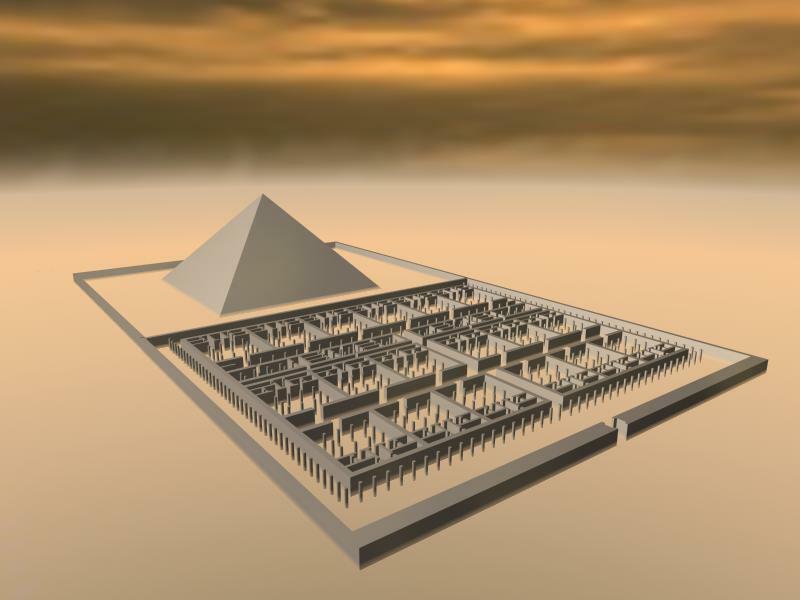 The tribute was in the form of fourteen young men and women who would be fed to the fierce Minotaur that lived in a maze beneath King Minos's palace. 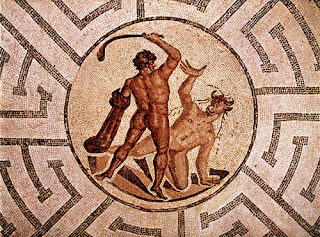 Eventually, the hero Theseus slayed the Minotaur (though he'd probably have been the Minotaur's lunch if it hadn't been for King Minos's daughter, Ariadne) and put an end to the gruesome sacrifices. Although a labyrinth has yet to be discovered on Crete, Minoans are known to have been quite fond of both mazes and bulls. 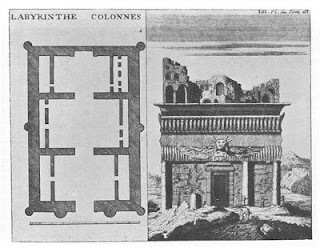 Some have suggested that the vast Palace at Knossos, with its thirteen hundred rooms, may have inspired the legend. 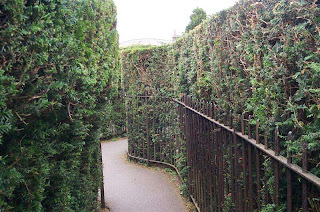 Once home to King Henry VIII--and now home to quite a few ghosts (see post for 6/6/06), Hampton Court Palace boasts the best-known hedge maze in the world. 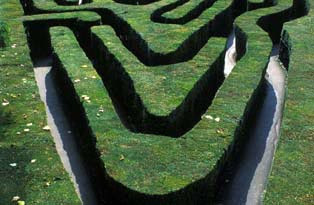 Planted at the end of the 17th century for King William III of Orange, the maze's paths are more than half a mile long. A downloadable puzzle version can be found here. The world's longest hedge maze can be found at Longleat, the stately English home (turned theme park) of the Marquess of Bath. It was commissioned in 1975 by the extremely (and I do mean extremely) eccentric 7th Marquess. WHOAH THAT IS BIG!!!!! How do you find the exit?